AVEBURY henge contains the world’s largest stone circle, but unlike its more famous neighbour Stonehenge, we know little about it. Now buried structures have been found at the monument that suggest the ancient complex began as a simple dwelling. The monument in Wiltshire, UK, is just 30 kilometres from Stonehenge. It comprises a 332-metre-wide stone circle, containing two further stone circles and avenues of paired standing stones. The entire site is surrounded by a circular ditch and embankment. But Avebury’s origins have been uncertain, as it hasn’t been investigated to the same extent as Stonehenge. The last major excavation took place in the 1930s, and couldn’t determine whether Avebury was constructed gradually over time, or as one large entity. To investigate, Mark Gillings at the University of Leicester, UK, and his colleagues used ground-penetrating radar to look for buried structures, as well as re-examining records of earlier investigations. The team focused on the southern inner stone circle, which is 100 metres wide. The radar survey found a square of standing stones buried in the middle of the circle, with sides 30 metres long. “To find a square megalithic structure is very unusual,” says team member Joshua Pollard of the University of Southampton, UK. The square was built around another structure, which appears to be the remains of a Neolithic house, in the geometric centre of the southern inner stone circle. This leads the team to believe that the monument started out as a house in the early Neolithic era. Flint tools at the site and the age of similar dwellings elsewhere suggest this was around 3700 BC. Some time later, the site may have been turned into a monument with the erection of the stone square that was later enclosed by stone circles and the embankment. Pottery found in the stone holes suggests this may have happened around 3000 BC (Antiquity, DOI: 10.15184/aqy.2019.37). “It’s a monument that developed in a series of stages,” says Pollard. But why did prehistoric people go to such lengths to create a monument around what was once a modest dwelling? For now, though, this idea is unproven. “It’s an interesting piece of work,” says Timothy Darvill of Bournemouth University, UK. But without firm dates for the construction of the Avebury megaliths, “it’s not a clincher”, he says. To address this, the team plans to carry out further investigations at Avebury. “We hope that, in the next five to six years, we will get a better understanding of precise chronology,” says Pollard. 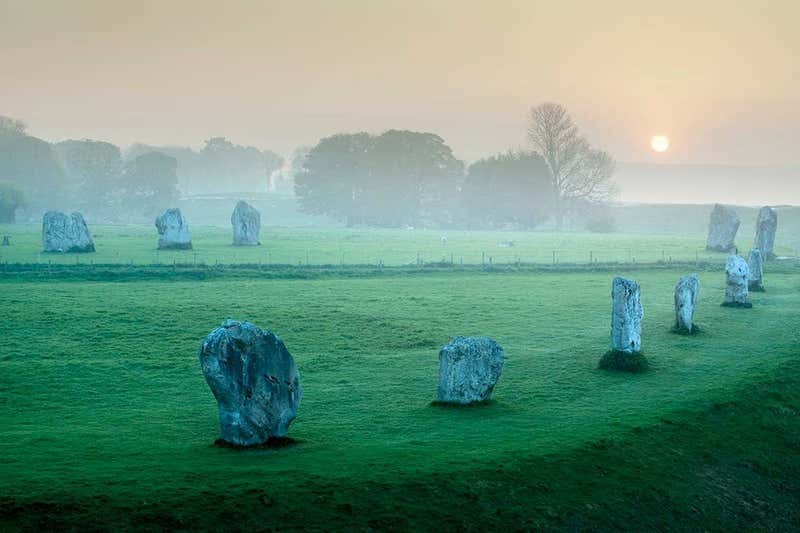 The team also wants to investigate Avebury’s northern inner stone circle to see whether that, too, might have been built on the site of an earlier house.